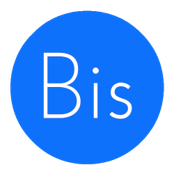 Bis Recruit is one of London’s most respected independent recruitment consultancies. 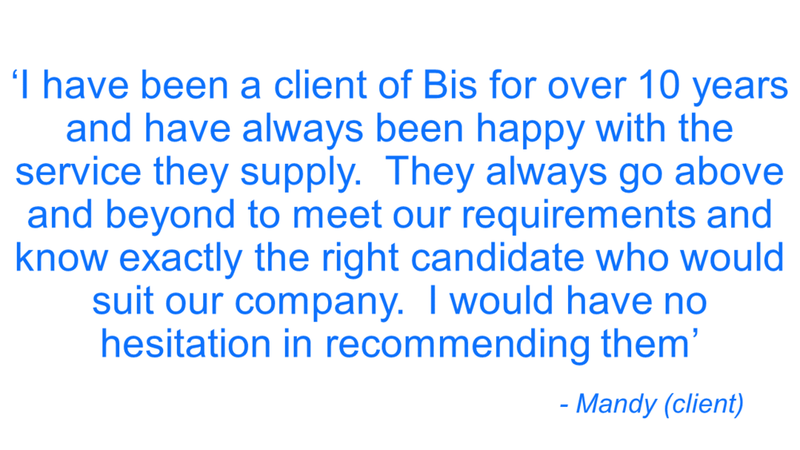 Founded in 2004, Bis is still run by Founding Directors Sue Inman and Chrys Street, both of whom remain involved in the day to day business of placing motivated candidates in great companies. We can confidently boast that many of our clients have been with us since the beginning and we have assisted thousands of candidates in finding their next move. Are you a corporate receptionist looking for a new role? We have a number of clients based in the City and Central London who are looking for the perfect candidate to join their teams. If you have excellent customer service, love meeting new people and have experience booking meeting rooms then we want to hear from you. Visit our website for more information and send us your CV today! To find out why our consultant Charlotte has been using numicon shapes and talking toilet habits, visit our latest blog post via the Bis Recruit website (link in the bio). •Do you have a minimum of 5 years digital marketing experience? •Have you previously used programmes such as, Photoshop, InDesign and Illustrator? •Do you have managerial experience? If the answers yes, then we have the perfect opportunity for you. Our client is currently on the search for a marketing manager to join their film production agency, helping to successfully implement marketing and communications projects for the company and clients. You will be a results-orientated self- starter, possess excellent written and oral communication skills and enjoy working in a deadline driven environment. For more information on what this role entails head over to our website. We have a great opportunity for a Human Resources Administrator to join an award winning Architects firm. The ideal candidate will hold a degree or the equivalent in HR, have excellent attention to detail as well as outstanding verbal and written communication skills. To find out exactly what this role entails make sure you stop by our website and send us your CV in today! Good Morning! We are currently on the search for an outstanding EA to work in one of the UK’s leading charities. This is a dynamic role where not only will you be supporting a Corporate Director but you will be in charge of small team of other EA’s so this would be the perfect opportunity for someone looking to move up the Executive Assistant ladder. This role is based across 2 sites where you will be working 2 days in Central London and the remaining 3 days in East London, so you must be happy to commute. If this sounds of interest to you, head to our website for more information and apply now as we are working to a deadline. Our client is a successful creative consultancy who are looking for someone with operations, resourcing and PA experience to join their team. 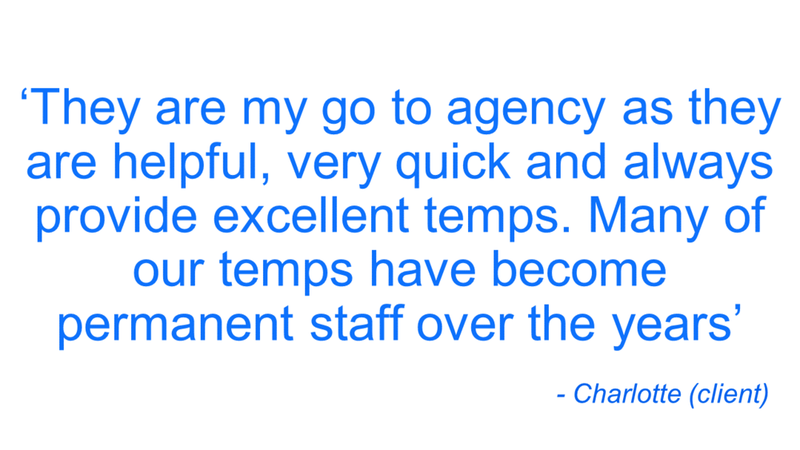 This is an incredibly busy role working for an amazing team where no 2 days are the same. If you’d like to find out more information on this role, visit our website today and click apply. Our client is looking for a customer service assistant/administrator to join them on a 6-month FTC. This would be an immediate start so you must be available to start straight away. If you have a fantastic can-do attitude, are happy working in a busy environment and ready to muck in where needed then this could be the role for you. To find out more information on this temporary opportunity please visit our website and click apply today.